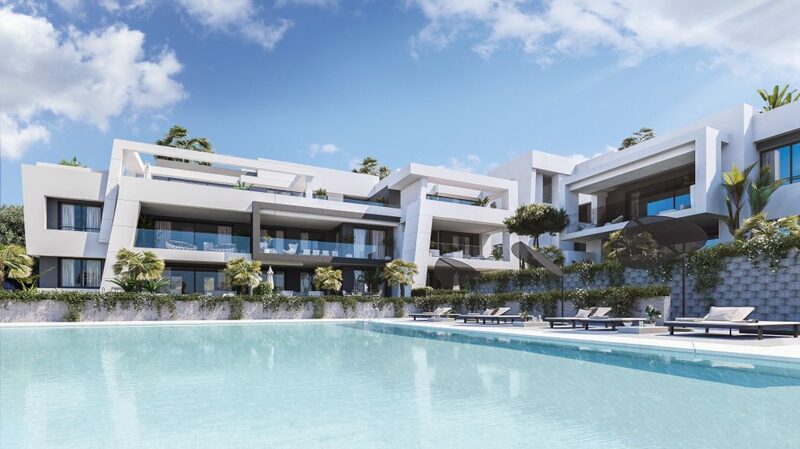 A stunning new Contemporary Residential Village in Estepona on the New Golden Mile, set within beautiful landscaped gardens and complemented by golf membership of the Resina Golf & Country Club. 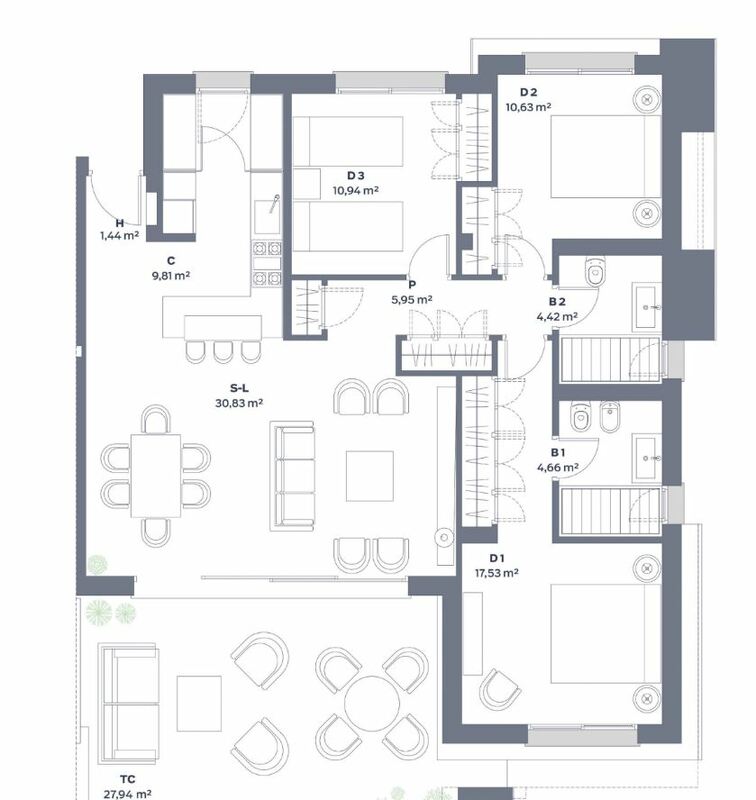 This brand new village offers a choice of 2,3 & 4 bedroom apartments and penthouses built to the highest standards perfect for a holiday home or permanent residence with ample green outdoor areas, a social club, gym, 4 different swimming pool areas, a spa, cinema, youth club for the children and a business centre to work from the comforts of home. The facilities are truly exceptional providing not only a beautiful home but incredible lifestyle opportunities. We know how important a home is. Your home is you and reflects the way you and your family want to live your life. A place to build special memories, a place to treasure. With this in mind, we would like to offer you the opportunity to own a home in a truly unique location. 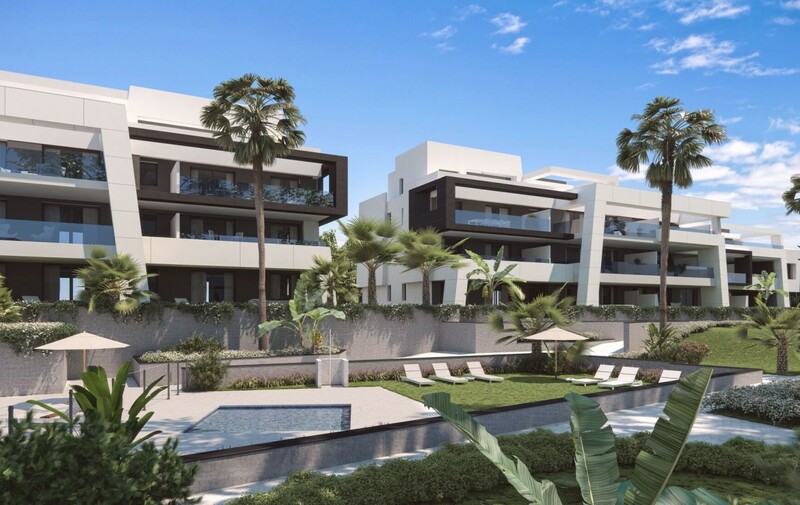 Offering beautiful natural landscapes and penthouses with sea views less than 15 minutes from Marbella and 10 minutes to Estepona close to all amenities and services on the New Golden Mile. 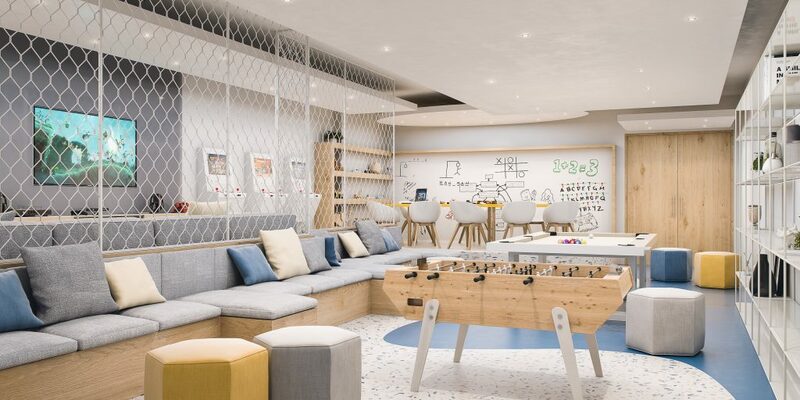 The creation of fluid open spaces connected by light, portray the feeling of wellbeing. 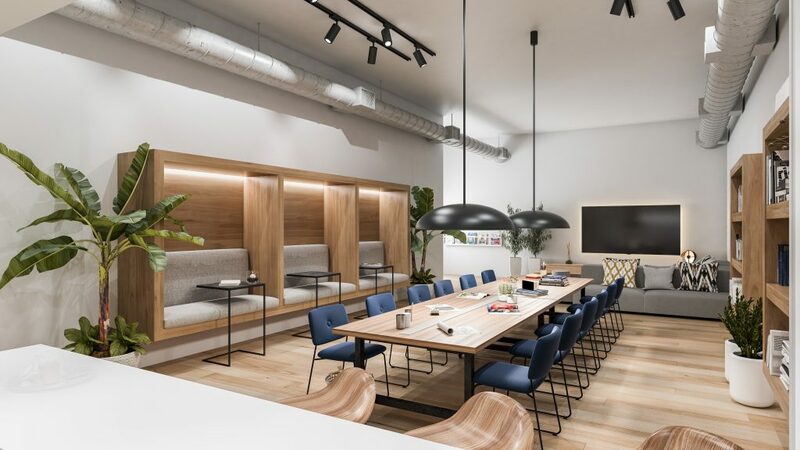 Developed by Gonzalez and Jacobsen whose attention to detail and quality of design is visible in this inspirational new project. By taking full advantage of the natural surroundings and giving importance to the garden and leisure areas, quality of life is at the heart of the design. 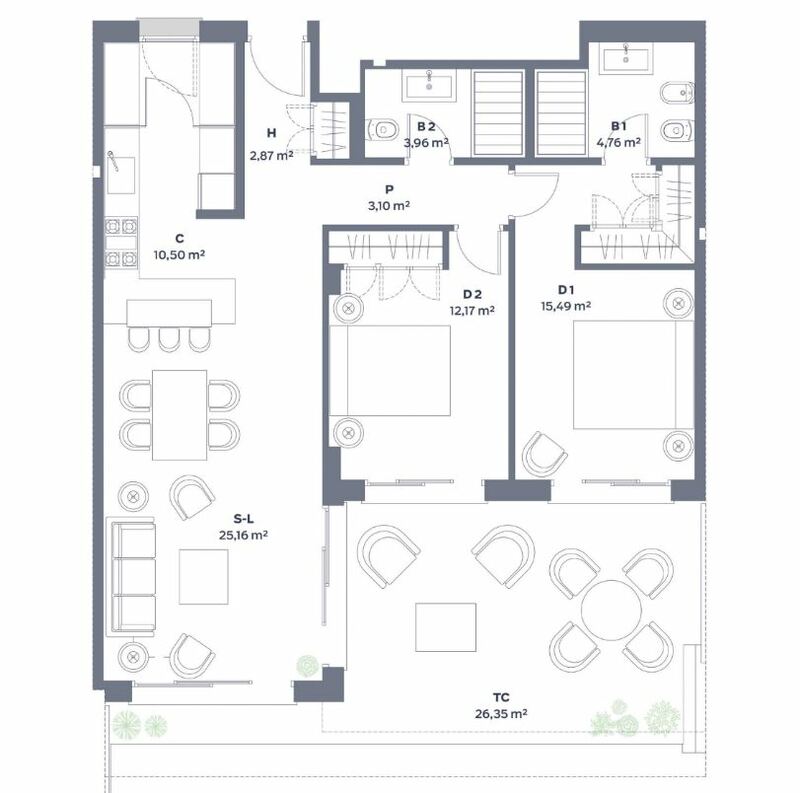 These carefully crafted apartments offer both light and open environments, as well as intimate and cosy living spaces. 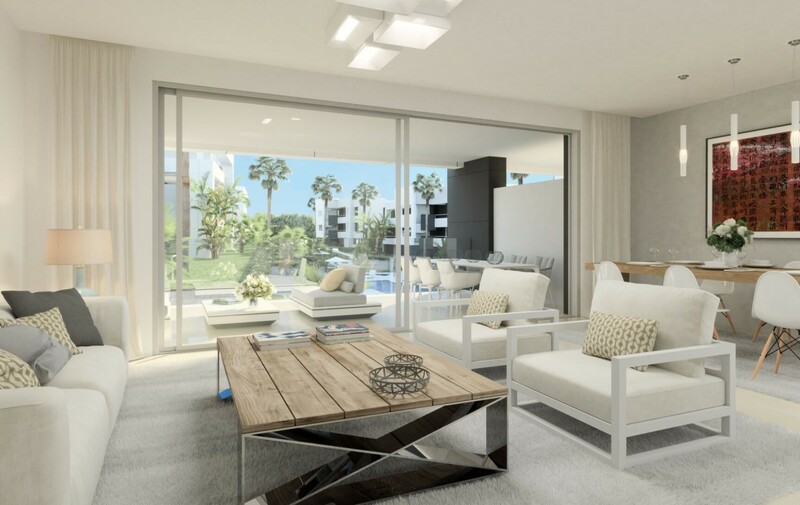 Open plan kitchens integrated into the main living area and connected to spacious terraces with stunning sea views. The homes are equipped with top quality finishes and are also committed to saving energy. 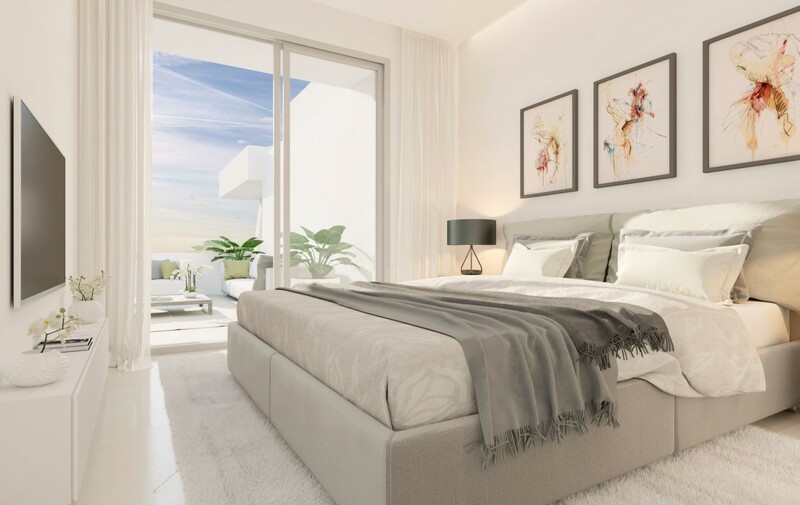 Beautifully designed living areas connect to large terraces with spectacular views over the gardens and from the penthouses. You will find Italian designed kitchens with high end appliances, modern and elegant in design taking full advantage of the natural light and surrounding scenery. Location, design and quality are the 3 key elements when deciding on your future home. 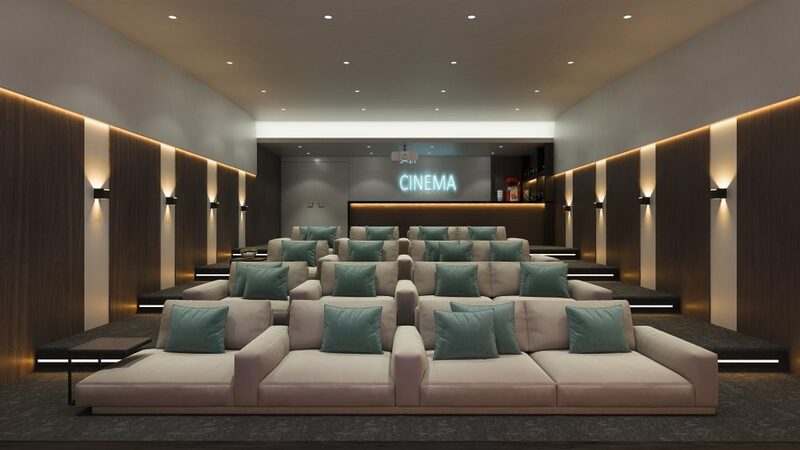 This impressive new complex offers the very best of all 3 elements. We know how important it is to share your free time with those important to you. 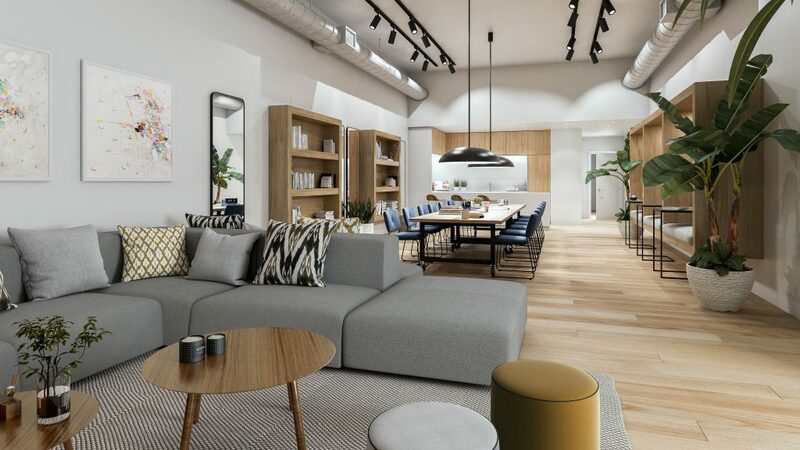 This wonderful development offers all you could wish for including swimming pools, gym, social club, cinema, youth club, work space, Spa and numerous green landscaped garden areas. This maximises the enjoyment that you, your family and friends can expect to experience. No other residential resort in Estepona offers more! Location is definitely a key factor and the location on the New Golden Mile offers the best of both worlds. A beautiful natural environment close to La Resina Golf Club yet only 10 minutes from the beach and the facilities and amenities required for a holiday home or permanent residence. Here you have it all. A stone’s throw from the beach, but peacefully nestled in the countryside. In this semi-rural setting, the only disturbance you are likely to face are the sound of birds or the swinging of a golf club. 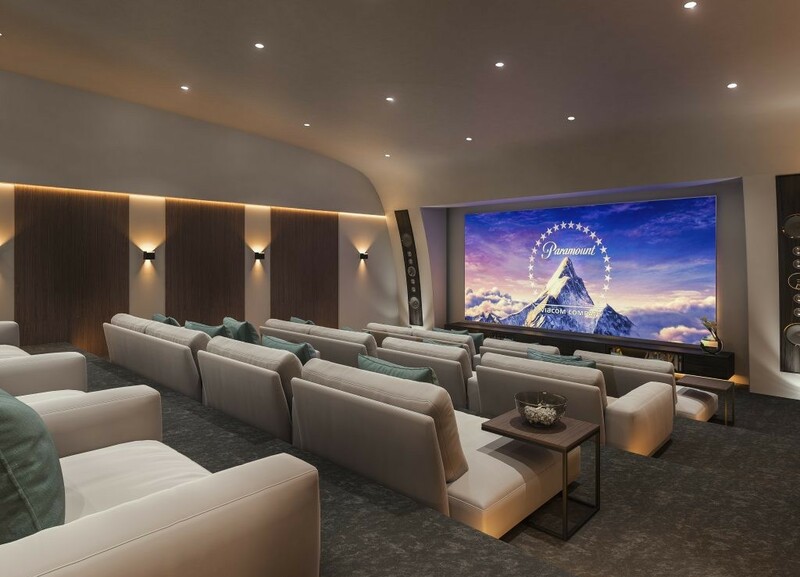 This privileged setting inspires relaxation, whilst still ideally situated placed for local entertainment. This area of the coast is also home to a number of luxury hotels including Villa Padierna Palace, Kempinski Hotel, Las Dunas and the Selena Thalasso Spa. Not forgetting the exclusive local beach clubs such as Laguna Village, Puro Beach and Villa Padierna Palace’s, to name but a few. The infrastructure is plentiful and provides shops, restaurants, bars, banks, and international schools close by. Golf lovers are also well taken care of with Atalaya, Los Flamingos, El Paraiso, Estepona and La Resina golf courses right on your doorstep. You will find the resort town of Estepona, only 5 minutes’ drive away. Known as the ‘Garden of the Costa del Sol’ the old town is blooming and blossoming with plants and flowers. Add to this La Rada beach with 2.5km of golden sand or the cosy cove of El Cristo. Alternatively, drive 10 minutes in the opposite direction you will arrive at Costa del Sol’s playground for the rich and famous – Puerto Banus. Enjoy wandering around the designer boutiques with their deluxe wares and allow yourself a little extravagance. Marvel at the sleek, sports cars and the impressive luxury yachts that line the marina. This is the place to be seen. The old town of Marbella is just 15 minutes’ drive away. Here you can while away the hours meandering through the cobbled streets, historic buildings and artsy boutiques. Sit beneath the orange trees in Plaza de los Naranjos and soak up the Mediterranean lifestyle. 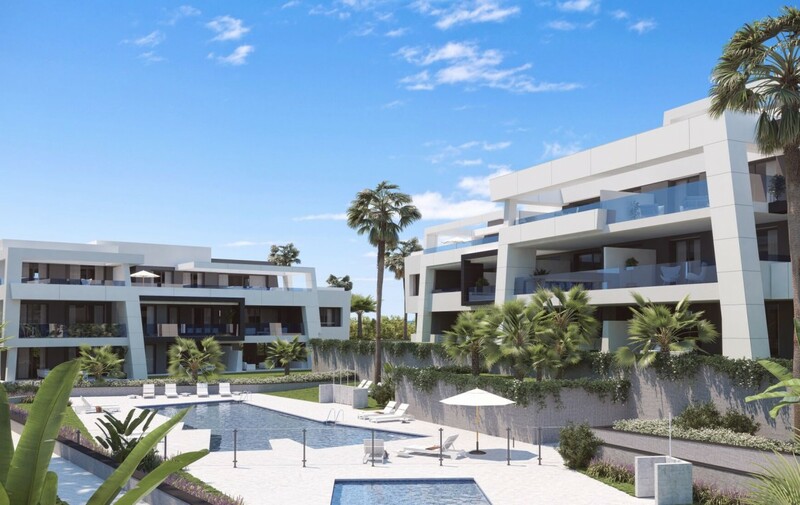 Come and see this Contemporary Residential Village in Estepona today, and start living the life of your dreams. If you haven’t found the home of your dreams, click here to browse more apartment options on the Costa del Sol.